We all know about, and have ourselves felt, the passions of the believers for the Living Imam (as) but rarely have we concerned ourselves with what he himself asks God in his prayers. 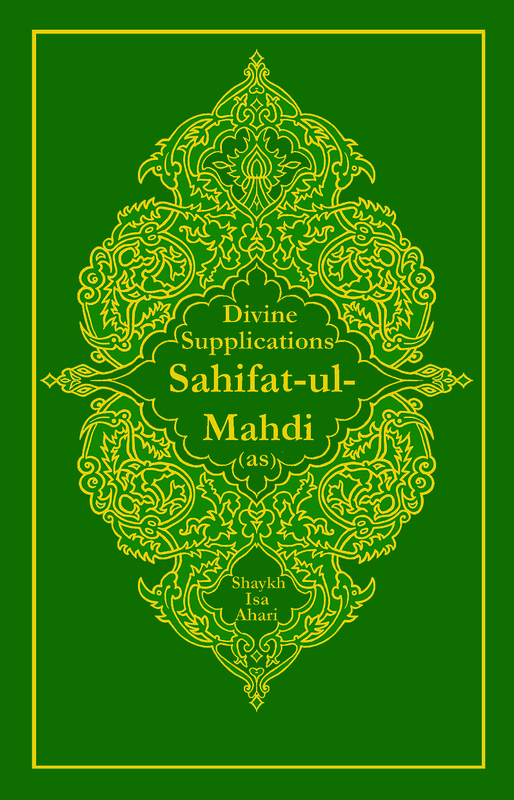 What the Living Imam (as) desires are reflected in some of the prayers included in the Divine Supplications: Sahifat-ul-Mahdi (as). As one of the co-translators of Sahifat-ul-Mahdi (as), Mr Sumar will speak on the process of translation of this book and will expound on the sources where each supplications appeared. Shaykh Ahari is the compiler of Sahifat-ul-Mahdi (as), a student of Allameh Tabataba’i and a well-known Iranian ‘alim. Shaykh Ahari’s video message in Farsi will be translated by Hamid Tehrani. Shaykh Ahari is among the most prominent Iranian Azeri religious scholars living in Iran today. He was born in 1932 in the city of Ahar. He initially attended the Hawza of Tabriz before attending the Hawza of Qom and having the good fortune of attending the discourses of such luminaries as Ayatollah Boroujerdi, Ayatollah Khomeini, Ayatollah Shariatmadari and Ayatollah Mar’ashi. He is among the first in our modern era to compile an annotated book on supplications of Imam Mahdi (as). The book, Sahifat-ul-Mahdi (as), has been reprinted a number of times both in Iran and the Arab world and translated into a number of languages. This is a hardcover gilded edition, with golden imprint on the cover, spine and back cover design. Every household will be enriched with a copy of this magnificent edition. There are 42 supplications in this bilingual edition. Each supplication has a note which explains how it originated from the 12th Imam (as) and reached his followers. All the notes appear as endnotes at the end of the book. Each note also provides information of the earlier works where the supplication is recorded. The work is, therefore, of immense benefit both for the laity and the scholars. Place your bulk order today and qualify for a special bulk order discount. If you are interested in buying a number of these copies, either as a distributor or just to give them as precious gifts to your friends and loved ones, please contact us on +44 208 452 1739 to receive special bulk order discount. We do economy rate shipment all over the globe.